Welcome to our range of bariatric alternating air cushions. The Tri Pos alternating two cell air cushion are suitable for Very High Risk users, and features an analogue pump with visual low pressure alarm warning. The cover is vapour permeable, water resistant and has a two-way stretch which conforms to the contour of the body. An alternating two cell air cushion that is suitable for very high risk users up to 32 Stone. 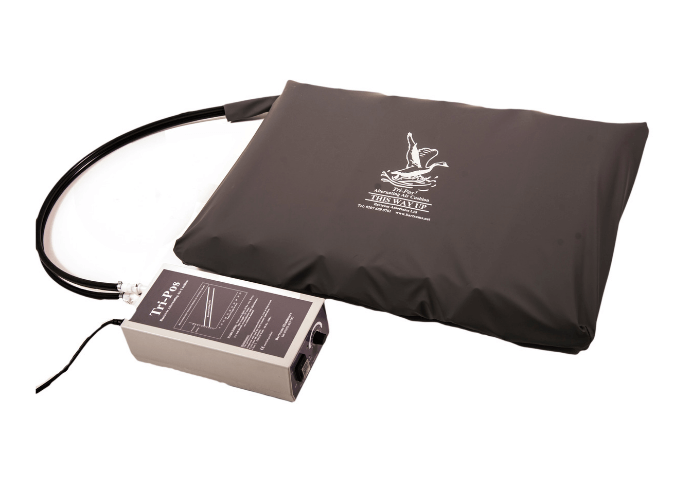 An alternating two cell air cushion that is suitable for very high risk users up to 45 Stone. An alternating two cell air cushion that is suitable for very high risk users up to 55 Stone.